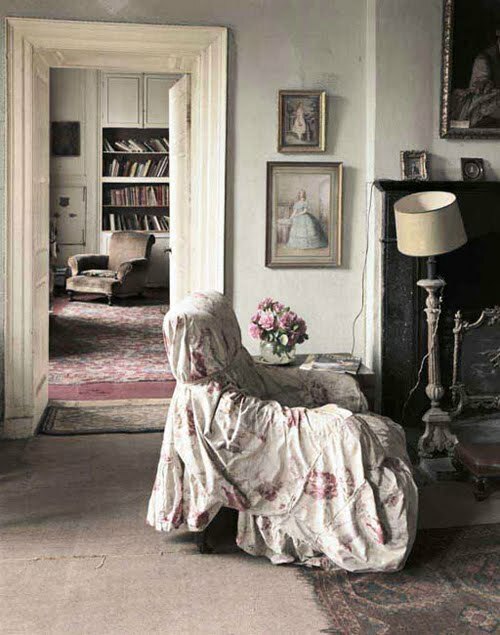 I'm excited to welcome Jane from Ill Seen, Ill Said as my St. Patrick's Day guest - her blog is full of interiors inspiration and I love her lyrical writing style. I'm also a huge fan of her 'Where we blog from' series. 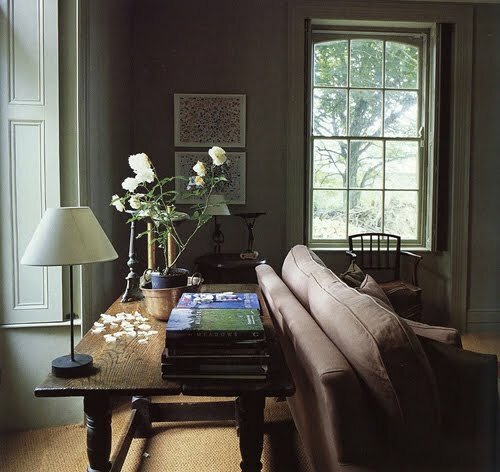 Thanks Jane - I love the homes you've featured here. 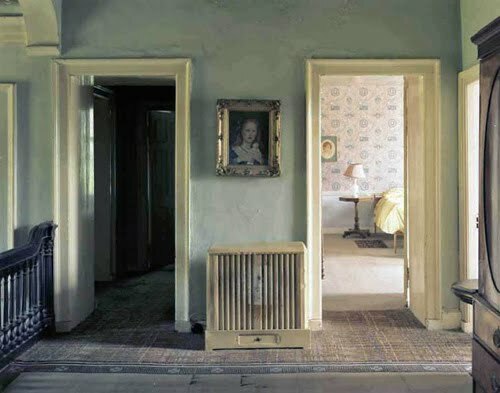 This farmhouse was featured in World of Interiors and is located in Co. Cork. There's nothing hugely dramatic about it, you could nearly call it utilitarian; almost Shaker-meets-Georgian. The most dramatic room is probably the kitchen, which has been left in the state it was found, with the walls simply washed down. I love the idea of leaving one room in a renovation a little raw. I think this may be one of my favourite homes featured in any magazine ever. You may recognize this townhouse from Toast's catalogue and movie from last season. This Georgian period house is located on Henrietta St on the northside of Dublin city centre. The street was originally laid out in 1729 and the houses are big by standards of the time, four or five bay wide. The residents were equally grand, including some of the wealthiest aristocratic families of Ireland. These pictures were taken of Bonnettstown by Andrew Bush between 1979 and 1982. 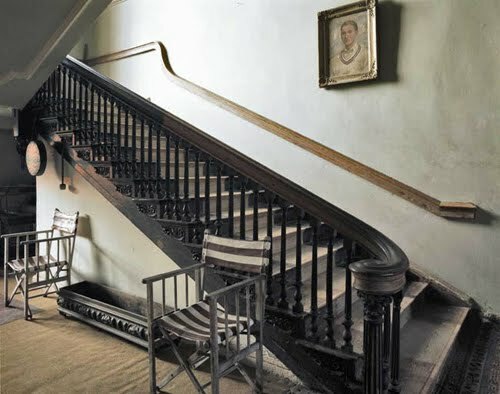 Bonnettstown was built in built in 1737 and is located in Co. Kilkenny. 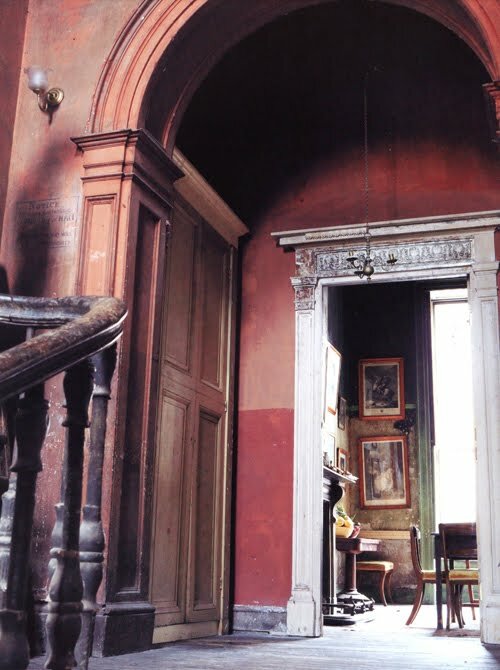 As a family we used to visit old grand houses like Lissadell, Russborough and Powerscourt. This style of ruined grandeur is buried very deeply in my consciousness. I respond to it immediately. I know its smells and textures. And it's a part of home that I often miss. Thanks Lynne for asking me to participate! To read more of my posts about Ireland, click here. Happy St Patrick's Day, Beannachtaí na Féile Pádraig! 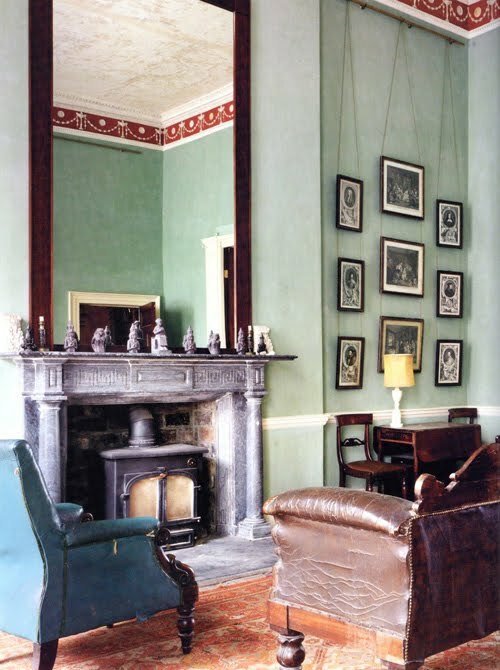 Hi Jane - I truly enjoyed your post and all the magnificent interiors of these grand Irish homes. Ireland is near and dear to my heart and it was a joy to have a real Dubliner give us a proper tour. The raw photo had to be my favorite as well. 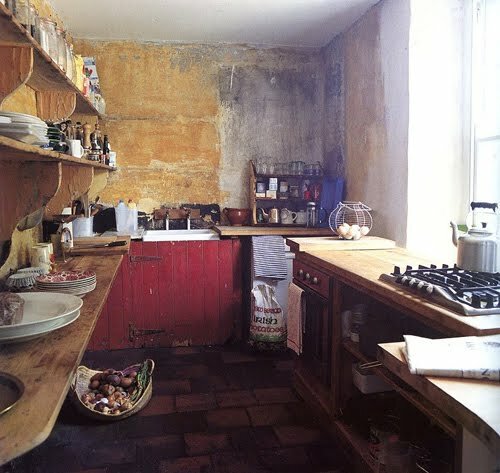 That kitchen in Co. Cork is a real inspiration and the antithesis of the functional, all-white clinical ones found so often now. Loved it! That is just gorgeous, I love the dining room! Beautiful! I really love the third image down of the kitchen and the final staircase. Happy St Patrick's! Thanks again Lynne for having me! And thanks everyone for you kind comments! I enjoyed looking at these photos...thanks for sharing your unusual find! so lovely! my irish husband will love this. happy paddy's day! Oh, I'm breathless, speechless, and full of wonderment. These are stunning. I remember when you posted that first home on your blog. 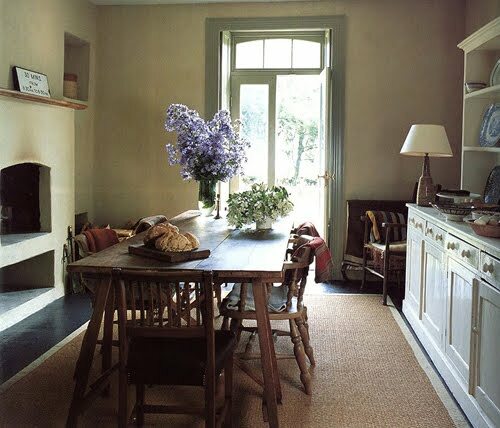 The simple, rustic kitchen is perfection. And I too have a "thing" for decaying vestiges of granduer. I'm not certain what the appeal is, but all I know is that the pull at my heartstrings is undeniable. A beautiful post. As always! What a beautiful post..! I was transported there for a few moments... And so funny that I just used the word 'lyrical' to describe Jane's own photographs back at her own blog... A wonderful woman of many talents, this dear Jane Flanagan! Thank you for the lovely post, ladies. oh my heart! such loveliness! 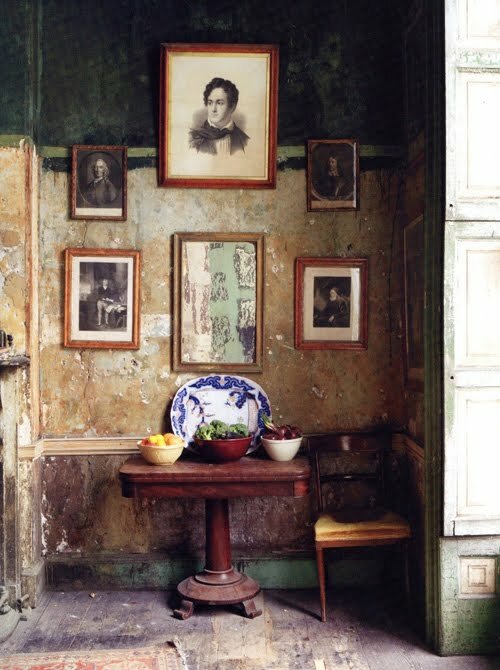 and that kitchen, completely swooning over that room oh, and that stair!! photos. I could live there! 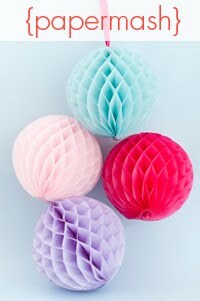 It was very interesting for me to read this blog. Thanx for it. I like such topics and anything connected to this matter. I definitely want to read a bit more on that blog soon.